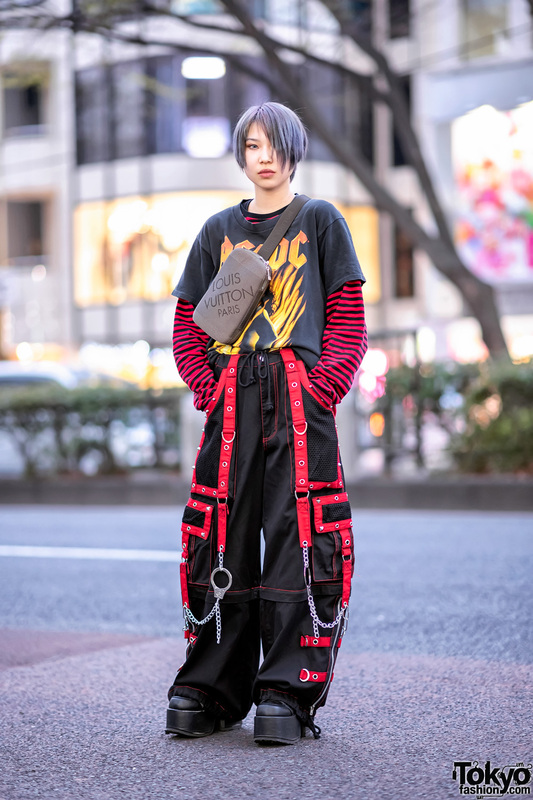 While out for a stroll on the streets of Harajuku, we came across Chem, who we often feature on our street snap section. Sporting an ash blonde mullet hairstyle, Chem stepped out wearing a black sweatshirt with white contrast collar and sleeve stripes, worn with brown plaid Kappa shorts, and completed with red kanji print socks and a pair of white platform sneakers. 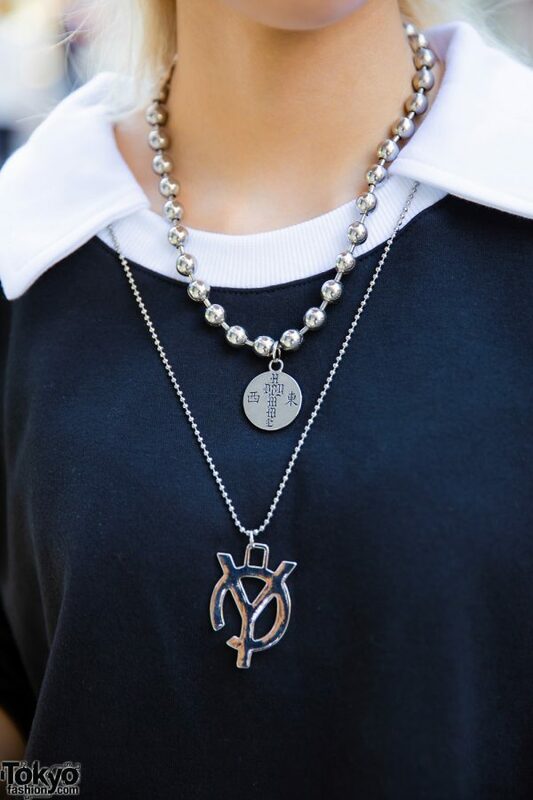 They accessorized their eclectic style with a silver beaded necklace layered with another silver pendant necklace. In addition, Chem is carrying a plaid clutch.